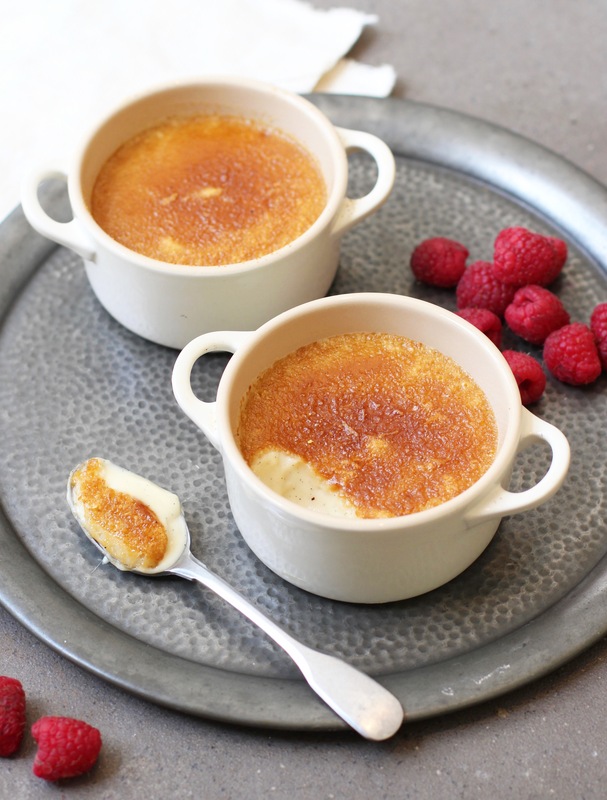 This vegan creme brulée is amazing- it’s so creamy, silky smooth and beautifully sweet. It’s incredibly delicious before you grill it so you can eat it as cold custard too. They’d be gorgeous for a dinner party and I promise you no one would ever know there was no dairy in it. Real vanilla powder or a vanilla pod is an absolute must, the flavour is so much more intense than vanilla essence. Drain the cashews and add them to your food processor or blender. Add the coconut yoghurt, maple syrup, vanilla powder and almond milk and blend on high until completely smooth. The mixture should be silky smooth so keep going until it is. Divide the mixture between two ramekins and jiggle them until the top is flat and even. Use a sieve to sprinkle the coconut sugar evenly over the top of each dessert. If you have a blow torch, use it to crisp the top. Otherwise, turn your grill on high and let it get really hot for a few minutes. 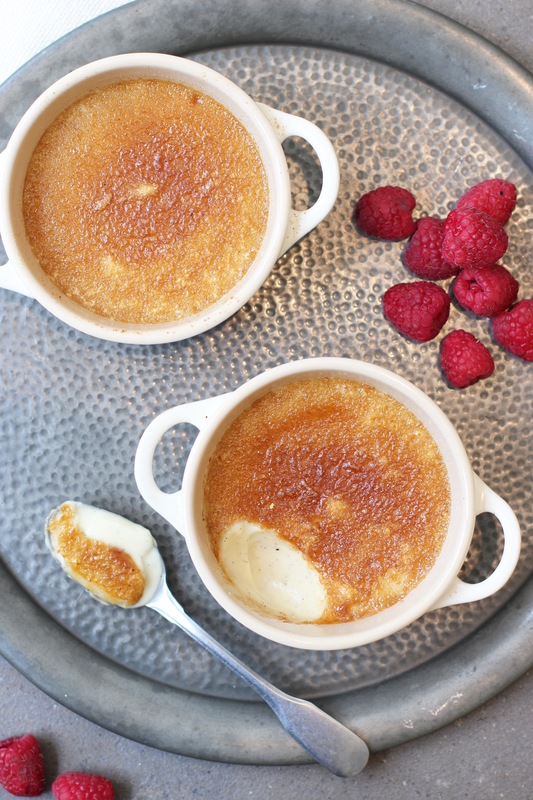 When it’s really hot, place the ramekins under the grill close to the heat for a few minutes until the top is brown and bubbling. Where can I buy vanilla powder,big supermarkets do not stock it. Could I substitute the yougart, natural instead of coconut or would that alter the taste. It says ” can be eaten as yoghurt before you bake them” but then the recipies doesn’t mention baking them anywhere that I can see? It says blow torch the sugar or put under the grill is that what your referring too or are they meant to be baked at some point too? Thanks! Just wondering could I use natural yogurt next time.